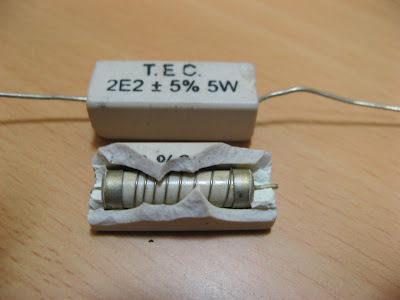 What do the insides of a power resistor look like? 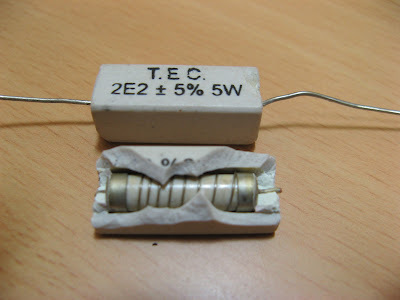 Here are photos of 2.2 ohms/5 watt wire wound ceramic resistors. The outer shell is made of ceramic (which is a good conductor of heat but a bad conductor of electricity).